The thing these two book have in common is writer Amy Chu. Amy runs the comic imprint Alpha Girl Comics and has written Poison Ivy and Wonder Woman for DC. Now she’s come over and made a pretty big splash with Dynamite. I was curious how she felt about the numbers since they came in and just what the new Red Sonja has in store for readers… so I was able to ask her a couple quick questions. DAN WICKLINE: With the numbers coming in for the Red Sonja #0 issue, how does it feel to have a book sell almost 100,000 copies? AMY CHU: Wait, what?! 100k?! 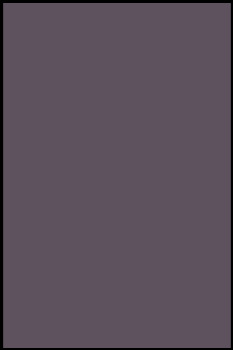 I don’t know, I’m going to have to sit down for a moment…. DW: How much does the #0 issue play into the on-going series? AC: #0 is the prequel and the setup for an entirely different adventure. It’s the first glimpse of Red Sonja in a totally foreign world where she might just be out of her league…. or not! DW: What makes this new series unique from the previous takes on Red Sonja? AC: It’s still a lot of action and swords and sorcery, but in a totally new world outside of Hyrkania. I’m hoping this will attract a whole new group of fans. Red Sonja’s core character is going to emerge as she’s tested in ways we’ve never seen her tested before. And it’s kind of terrifying…! DW: You are also writing the new KISS series with the first issue selling 30,000 copies, the best-selling KISS comic in 30 years. What do you think keeps KISS so popular after all these years in the spotlight? AC: I think some things never get old, and KISS has done a fantastic job building a global fan base and staying relevant. The fans I’ve been meeting have been SO incredibly supportive of the new series! Issue #2 comes out Nov. 16; I’ll be at the New Jersey Comics Expo that following weekend signing at the Dynamite booth, so I’m sure people are not going to be shy about telling me how they feel about the new series! DW: Both KISS and Red Sonja gained their initial popularity in the 1970s… any other 70s properties you’d like to write? AC: I always dug the original Mission: Impossible TV series, and way better than the Tom Cruise movies. Each episode was super smart, packed with tension, and something would always go wrong… plus the clothes! Amy mentions the New Jersey Comic Expo. She will be there on behalf of Dynamite Entertainment. For more information on the show, click here. 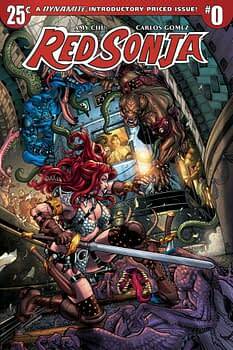 Red Sonja cover by Carlos Gomez. 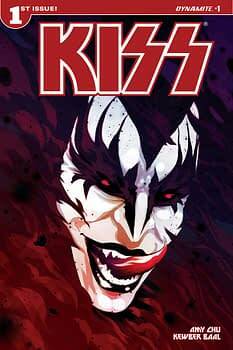 KISS cover by Goni Montes.